The ways to enter are below, and there are lots of them. Just check the Rafflecoptor giveaway and you're on your way!! Remember, there are 12 days of fun to be had so check back every day for more awesomeness!! For Day 2, I've picked something fun. On those days when you are struggling, wouldn't it be nice to have a hot cup of coffee or tea and a load of insults? 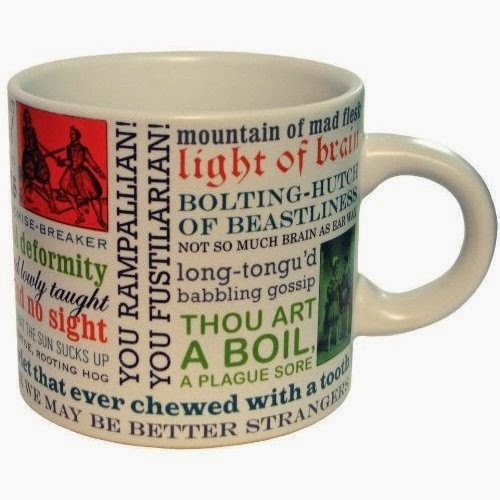 Shakespearean insults to be exact! 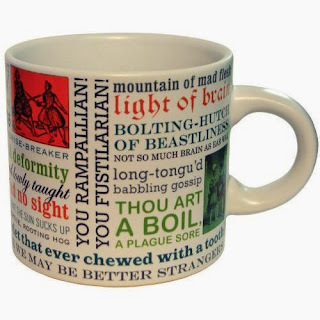 Wouldn't YOU love to have this mug? 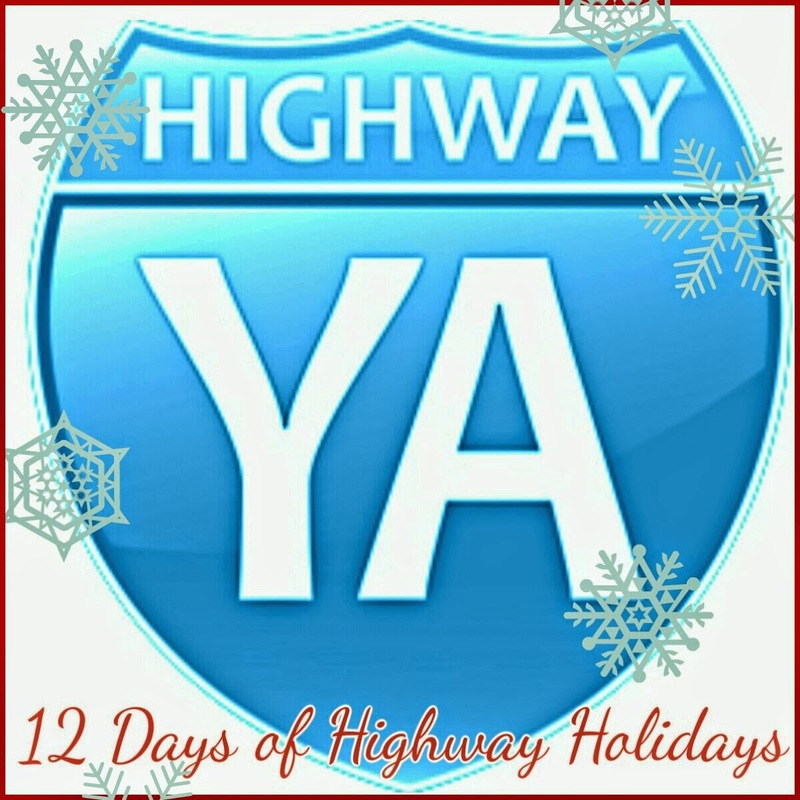 Enter to win below, keep track of all 12 Days of Highway Holidays coming up, and GOOD LUCK!